A question from Special Educator Shannon Carter-Murdoch about measuring progress of students with “pull down menu” IEPs. I have two very, very different children, different learning styles, and unique needs. How can they have the same IEP? I work at a private school. 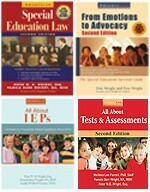 Each year I receive IEPs for new students from various school districts. These districts use a state-wide computer based program that generates “pull down menu” IEPs. When using a “pull down menu” the goals and objectives do not necessarily match the needs of the child. They DO match the programs the school district already has in place. _______ will increase reading passage comprehension by one year (or to a specific grade equivalence). When a student transfers from one school to another school that doesn’t use that particular reading program, sometimes it’s months before the IEP is changed. I received two IEPs last year – different kids – from different districts. Two of the Annual Goals were identical for each child. Even the objectives were identical except for accuracy rates. Two very, very different children, different learning styles, and unique needs. How can they have the same IEP? I think it’s because teachers don’t have to create goals for the individual child anymore, they just have to use what’s available in the “pull down menu” and try to make it fit the child. I just get so frustrated with the problem and wonder if it is an issue elsewhere. Are there other states out there that use a state-wide computer based system to generate IEPs? If so, how do you individualize a child’s IEP using this system? 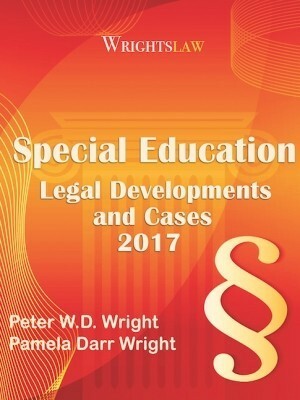 This entry was posted in Eligibility, IEPs, Special Education Regulations, Strategies, Teachers and tagged Goals and Objectives, IEPs, progress, unique needs by Wrightslaw. Bookmark the permalink. We have been through litigation in MN with both of our sons related to FAPE in the LRE, but as a former teacher I have a unique perspective and understanding most parents don’t. I also work as a trained parent leader volunteer for the state’s parent advocacy org. Through this, I’ve seen multiple district’s IEPs and recently participated in an IEP meeting for a child whose case manager admitted to the parent that the pull-down software wouldn’t allow her to make the unique change she suggested for her child. This means the state entity IS in fact directly responsible for violating children’s due process rights. I would sincerely appreciate any and all comments related to this as the 8th district courts don’t seem to see this. This isn’t only a frustration for parents and service providers, but for teachers as well. Teachers are being told they may no longer tailor goals for students, but must select from the pull-down menus so that the goals are district-approved and “legally defensible”. It’s the districts that are tying teachers hands to actually writing an individualized program for a student. Can a school have one IEP meeting for one set of Twins at the same time? Legally? I actually had a State assigned Facilitator at an IEP meeting question why I was so concerned about getting everything in the Present Levels. She and the school district said we needed to move on to the goals. They didn’t know what to say when I emphasized that the present levels are what establish the goals. Parents are team members. It is always good to invest in a knowledgeable advocate. As smart as I think I am about my child’s special ed. program, he has an advocate. My son’s eligibility criteria is “Other Health Impairment.” On the prefilled in form, there was a question “does this child have any significant medical issues” the computer had checked “no” and no one at the school caught it. I had to write three times and include the superintendents office on my email just to get the check mark moved. You can imagine how much trouble I had getting anything changed where there was actually a difference of opinion. I gave up and homeschool!! Our school district (3 kids on IEPs) uses a computer based system. Everything is already filled out when we get to the meetings. I have stated I don’t know how many times, that they aren’t including me, the parent, if they already prefill everything! They claim its just a draft and that it’s a time-saving method. But I don’t know how many follow-up emails I’ve sent telling them the info on the IEP isn’t what was agreed to during the IEP meetings!! We currently have 2 formal complaints filed with the state for two of our children, and both have inappropriate IEP goals that they say “have to” be included else they can’t offer us FAPE for our children. All students wi th very severe, multiple disabilities have to pass VAAP!!!!!!! Ayala, It is my understanding that the goals are supposed to be writtin from present levels from the testing results no matter what grade level it is. However it is ok to make the goals something to stretch for and not super easy to meet. It seems like 7th grade goals are too much of a stretch. 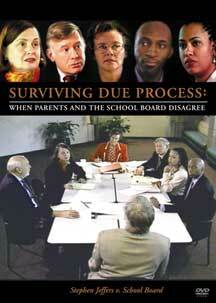 YOu need to reconvene an IEP meeting to discuss. Should academic goals and objective be based at the present level of the student (4th grade) or at the current grade level (7th grade)? My daughter is in 7th grade main math class with a resource aide in class and she has another period for resource. Her math present grade level is 4th grade. Since she still did not master all 4, 5 and 6 grade math skills shouldn’t the iep goals be written for that? Yes, my son’s school uses a computer program with pull down menu’s and his LSSD Trainee advised that her “program” doesn’t allow for adding/changing the specific goals, measurement, etc for his BIP. Frankly, I don’t give a hoot, make the BIP fit him, not try to make him fit the BIP. For the past 6 years, my child had an IEP for “gifted.” In TN, gifted falls under the umbrella of Special Education. At the end of last year, I was notified that her status was being “inactivated” because she would attend the new magnet school where her needs would be met. There was no IEP meeting to discuss this. I did not sign anything. I only found out because I called and asked why we had not had an IEP meeting. The new magnet school only requires students to score 80% in two areas of the state standardized test – TCAP. AP classes are reserved for the high school. It appears that general education classes for middle school are standard. I believe “inactivated” is a drop down menu option for a vague and impersonal IEP form. 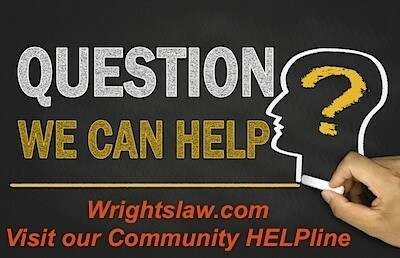 Is permission needed to inactivate and what does it mean? My school district has an IEP software that we use and I personally like it. Although it provides the dropboxes, we have the autonomy to input information as well, as it pertains to the child. I feel that the dropboxes are there to assist those that maybe unfamiliar with the required information. 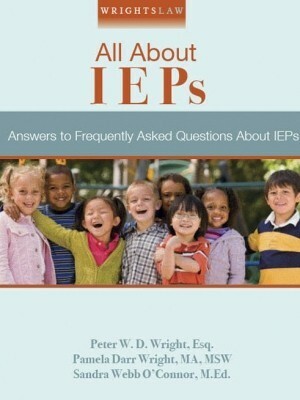 The IEP is developed to help that specific child to make gains. 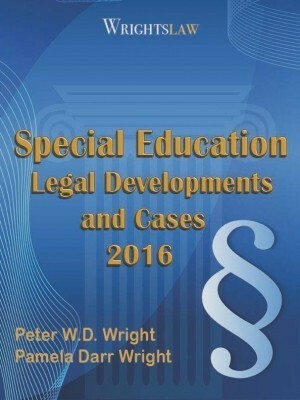 The software may be expensive in some districts, but what cost more are lawsuits when an IEP is not produced correctly and a parent (full within their rights) sues for the errors that are made. I think districts put the software into place to minimize accidents. 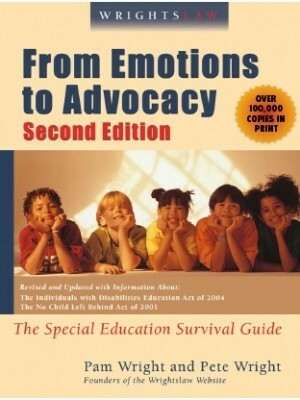 The case manager is still responsible for knowing that student and developing an Individualized Education Program according to that childs deficits. Debbie, I understand and agree with your viewpoint to a certain extent. Goals need to be agreed upon before you can start teach. Otherwise, how do you know what to teach? Making goals secondary is like putting the cart before the horse. Students with disabilities should have goals that seek to remediate deficits that are directly related to their disabilities. These goals should be individualized. In my opinion, 99% of students with disabilities should have the same academic goals as other students. Goals in the IEP should be individualized and designed to enable students to have greater access to the general ed curriculum. If you don’t want to write individualized goals, then how can you teach students with disabilities? The most important job a teacher has is to teach! So, when I used to have to spend literally hours and weekends coming up with IEP goals, something had to suffer. The pull-down has been a life-saver, particularly when the state has standards anyway. This is a great thing, not a bad thing!! Parents love the idea that their child’s goals are the same as their peers. Naturally there is individualization that will be applied. I can see the basic framework for goals being made available especially for similar diagnosis. – as a starting point. How about a dropdown for SDIs – the choices for hearing impaired kids are reinvented for every kid! Carpets, noise, seating, captioning…they don’t change. Am I missing it? does this exist? My District uses a computerized IEP writer with pull down menus, and if we use an item from the pull down menu the content standard line reference number is included. They can be modified. In our last IEP meeting the head of special education attended and stated that the IEP goals were not to be used to track progress in the IEP and insisted that vague general goals be written so that the teachers could modify what they taught as they saw fit. There seems to be a total disconnect between what I understand the goals to be (e.g., a statement of current performance and a desired level of performance a year into the future) and what the District is using them for – which I am not sure, but sort of suggestions as to how to teach seems to be closest. They do not want to be held accountable for lack of progress. Is this a way to completely bypass IDEA? Are Related Services also covered like this, and if so, does this include ALL named related services, or just the big 3 (speech, PT,OT) and children are therefore being denied needed services just through omitting being included in the pull-down menu? Many counties in Virginia use a computer-based system to generate IEPs. If there is a state system, the counties do not seem to be required to use it. When using this software, it seems to be particularly difficult to generate meaningful goals and objectives for students wtih very severe, multiple disabilities such as severe cerebral palsy and cortincal visual impairment and language impairments, and cognitive difficulties. I am the person helping families understand the IEPs generated by their teams using this software. I find that IEP team members often use the software limitations as an excuse for not developing an appropriate, meaningful IEP. Very discouraging. On a few occasions, families have asked IEP teams to rewrite goals/objectives by hand and disregard the software. Sometimes this works, although it makes teams unhappy. In my district we are required to use the computerized IEPs but I don’t see that as much of the problem as I do what our choices are for the goals. We must use the state benchmarks and those are so general it is ridiculous. One goal for many of the IEPs I’ve seen (and unfortunately created) is “Student shall read, examine, and respond to a wide range of texts for a variety of purposes.” What am I supposed to do with that? We do not use short-term objectives anymore, so this long-term goal is really not measurable in my opinion. I want to go back to the way we wrote goals and objectives when I started teaching 22 years ago. 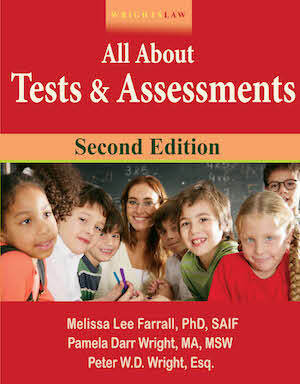 At least back then they were individualized, matched the students’ needs, and were measurable. I’m in TX too, and our school district uses a program called CLASS to generate IEP goals. The teachers have the option of editing the wording of the goals to fit the child. CLASS goals are supposed to build on one another and tie in with TEKS – Texas Essential Knowledge and Skills, the standards for all general ed curriculum. However, if you just take the goal as it’s written in the computer, it’s very general, non-specific, and non-measurable. If the teacher takes the time, you can take the framework of the goal, and write a really great, SMART goal. 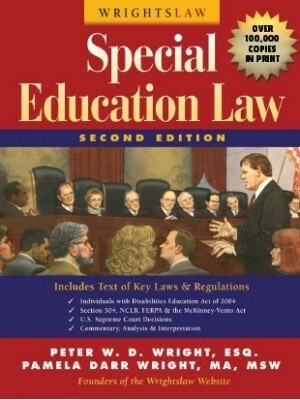 Anyone coming in to review the IEP can tell which TEKS standard it’s tied to by the code #. You can also write your own goals from scratch but you lose the benefit of the coding. My son has had great teachers who have made sure his IEP is still individualized, so it can be done. It is- we have pull down menu IEP’s here. Not using the drop down box is frowned upon. Part of the reason is a lot of teachers and professionals simply do not know how to write IEP goals. Not that IEP’s are followed. Unless the child is at a “life skills” level they follow the gen. ed curriculum. Meaning the 7th grader who can’t add 21+38 is taking prealgebra, with a calculator. Even though they don’t know how to look at their work and tell if it’s completely off, so if they make a mistake during the keystroke the answer will be off and they won’t know it… (there’s a reason basic math is covered before algebra- because you NEED that foundation, it’s not an accommodatable deficit) If you don’t know 21+38 cannot equal 248, an calculator is at best a crutch. Remember, parents/guardians are invited members of the IEP team. If you don’t agree with the goals, ask for a change. 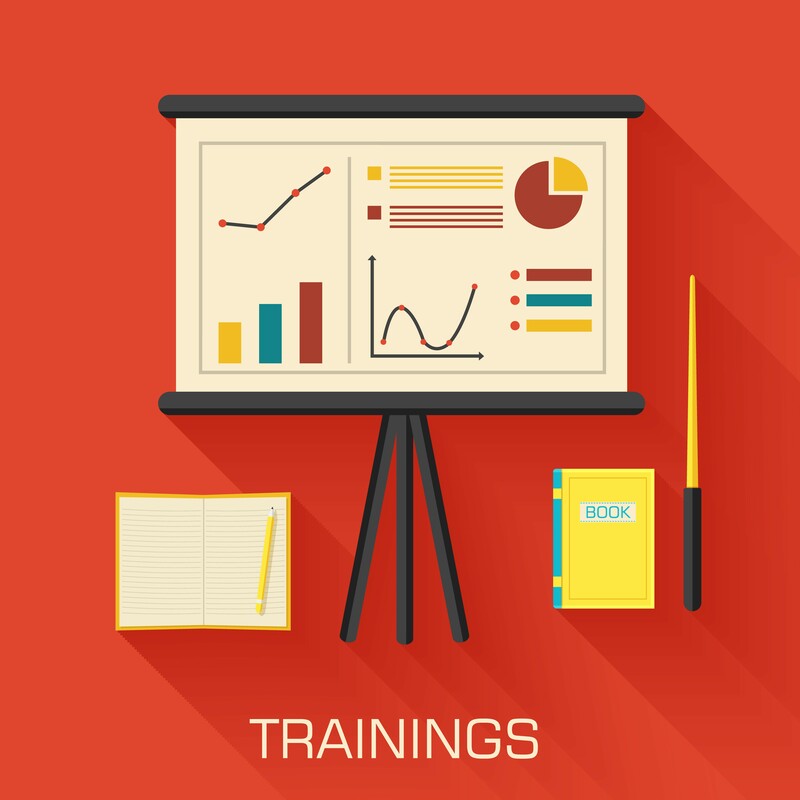 Come to an IEP meeting with suggested goals. “Pull down menu” goals can help ensure goals are measureable and objective, but they can always be adjusted for individual needs. I have twins who each are on different levels of learning, and have different disabilities and they have the exact same homework each day and iep’s. The teachers try to tell me it is to make things easier for me.And their iep’s match the teks for the state curriclum for the Taks Test. In Texas. I wonder how many of the kids in their resource class has the exact same IEP goals. New York City is currently piloting a new, expensive IEP development software package with the acronym SESIS. We’re already losing more than $100 million a year to lawsuits and this software is supposed to help stanch the flow of money to private schools. Good luck with that. As Shannon notes, these IEPs lose the “I” part of the Educational Plan. 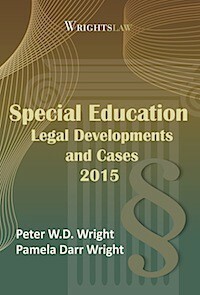 No longer are the writers educators who know their students but experts in quickly generating a document devised to crank out legal text in a hurry. Pull-down menus will make SMART goals a five minute exercise in thoughtlessness. Parent’s attorneys must be salivating at non-individualized plans.